Tune into Talk Radio 1190 Sundays from 12-1pm to hear Rusty’s Radio show, The Therapy Hour. Rusty gives expert advice on dealing with every day issues, with new guests each week! Rusty interviews author Marci Serota on her book "Hungry for Solutions"
The Therapy Hour w Rusty Lozano - Dr. Lubar discusses neurofeedback (EEG Biofeedback) and a brief history and future trends of. 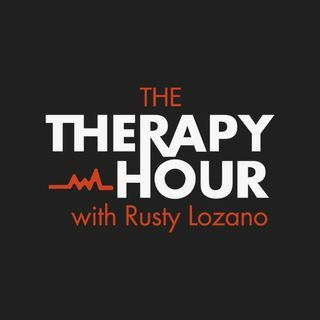 The Therapy Hour w Rusty Lozano - Bullying and Play Therapy with Dr. Lozano and Erin Istre Lozano. Rusty discusses how imaginary influence wins over decision making over actual visual influence. Helping Jack work through anger with siblings. Tune into AM 1190 on Sundays from 12-1pm to hear Rusty's Radio show, The Therapy Hour. On the show Rusty discusses a variety of issues facing people today and gives expert advice on dealing with those issues, with new guests each week!